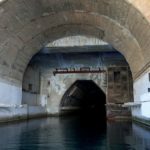 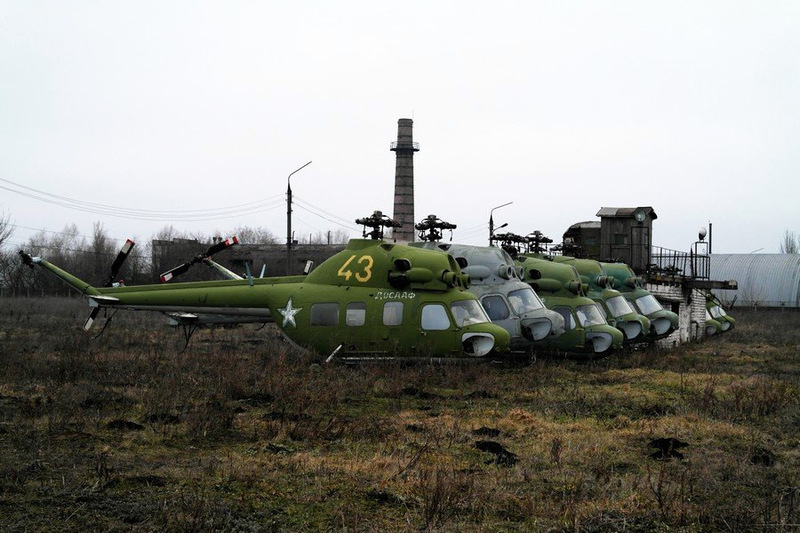 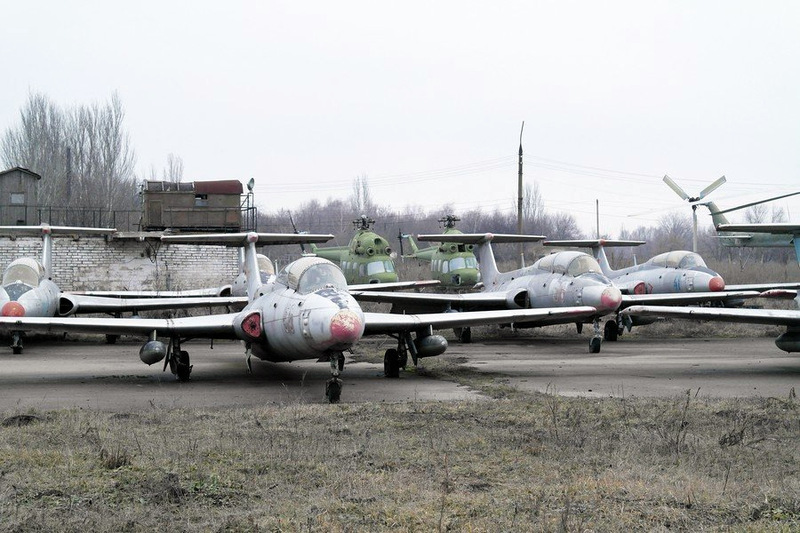 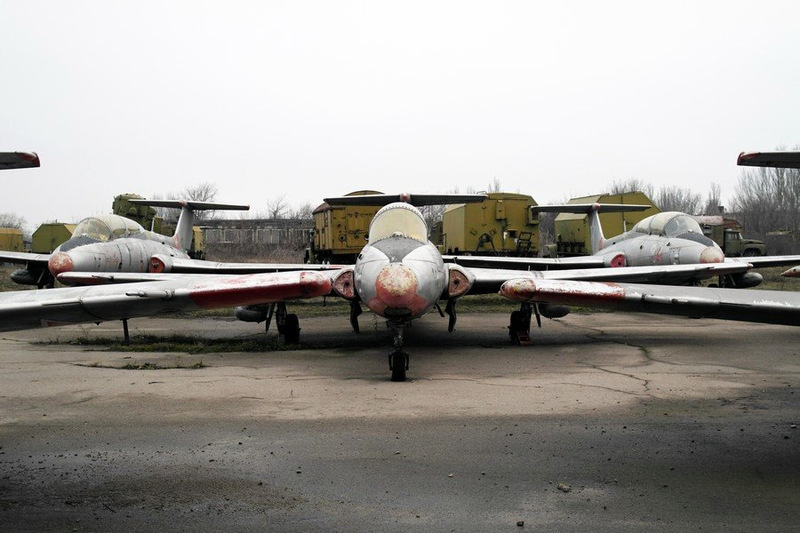 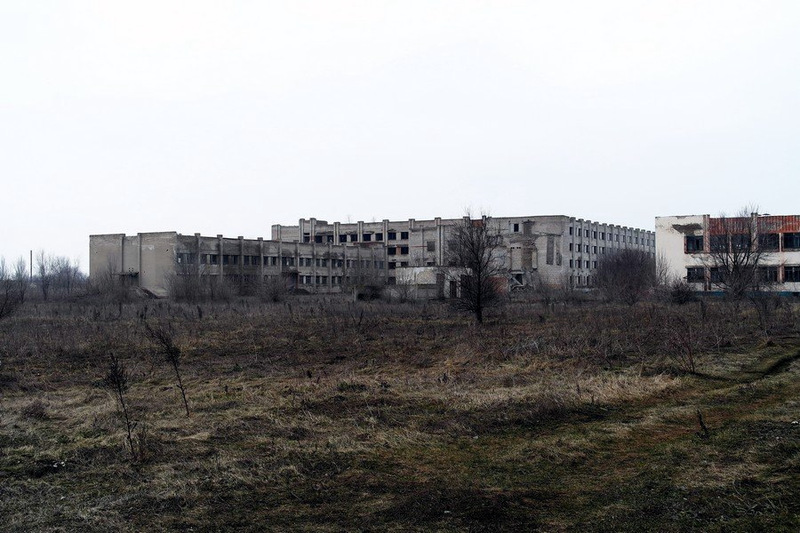 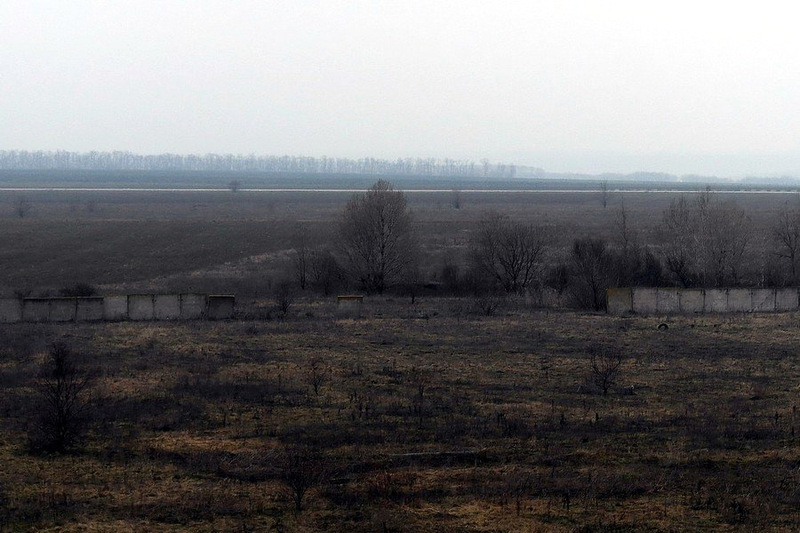 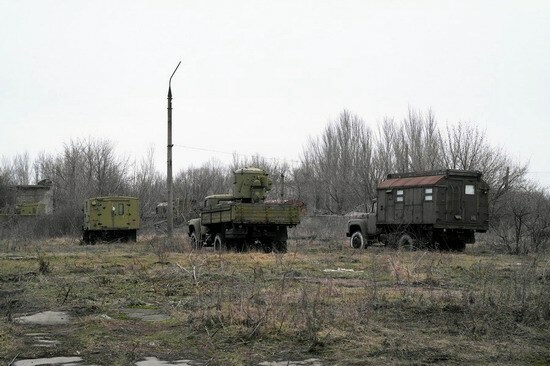 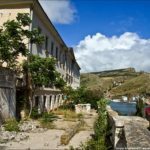 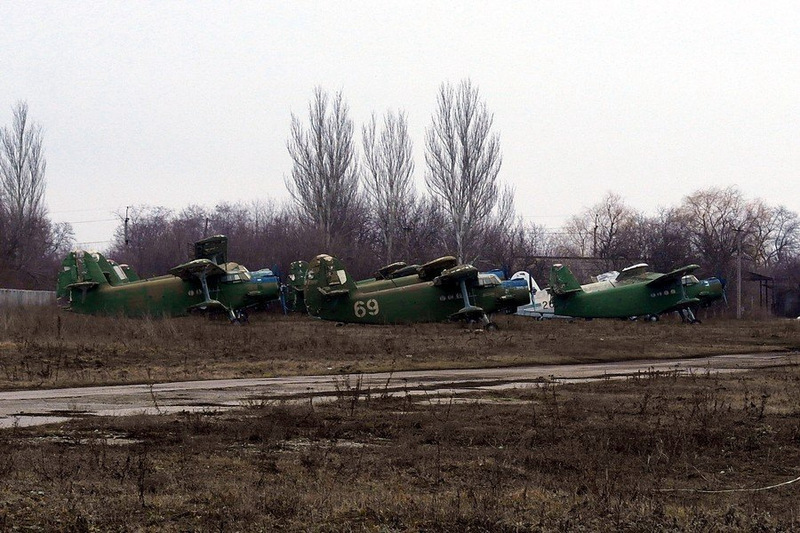 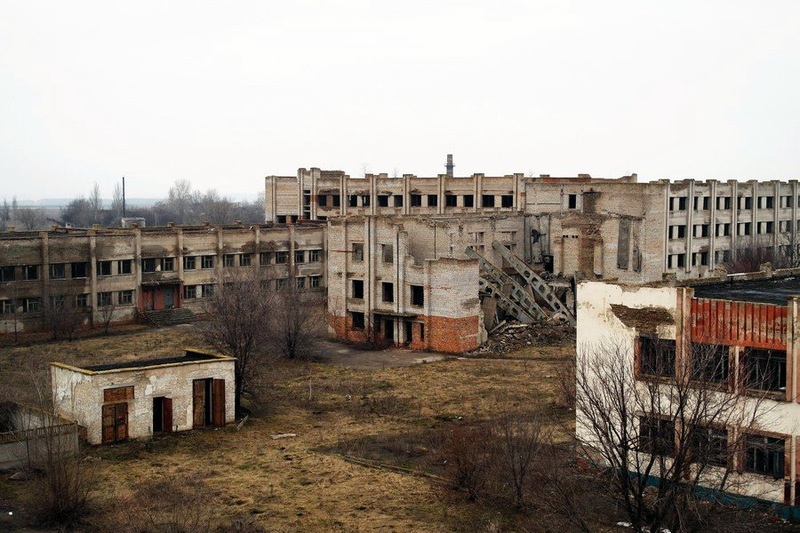 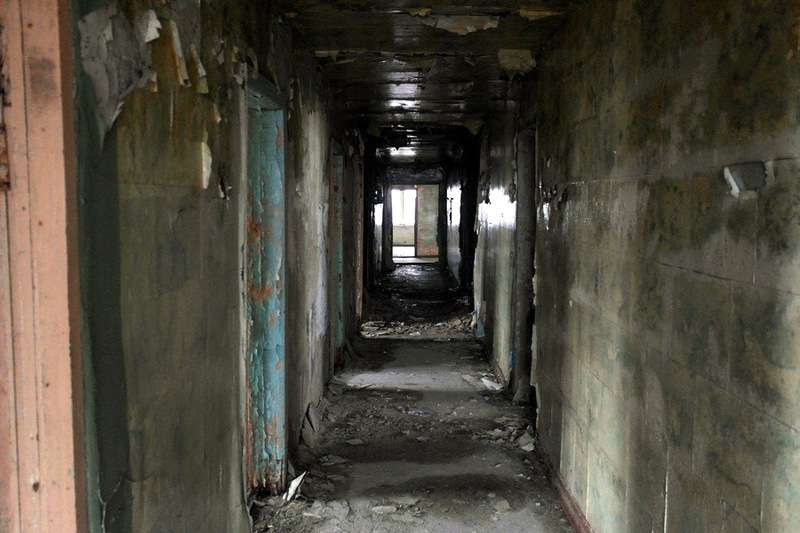 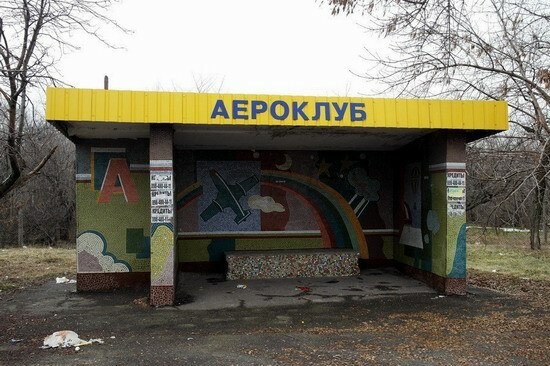 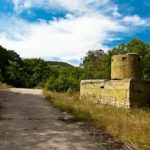 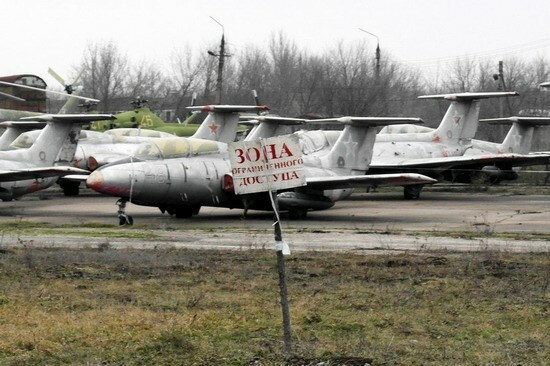 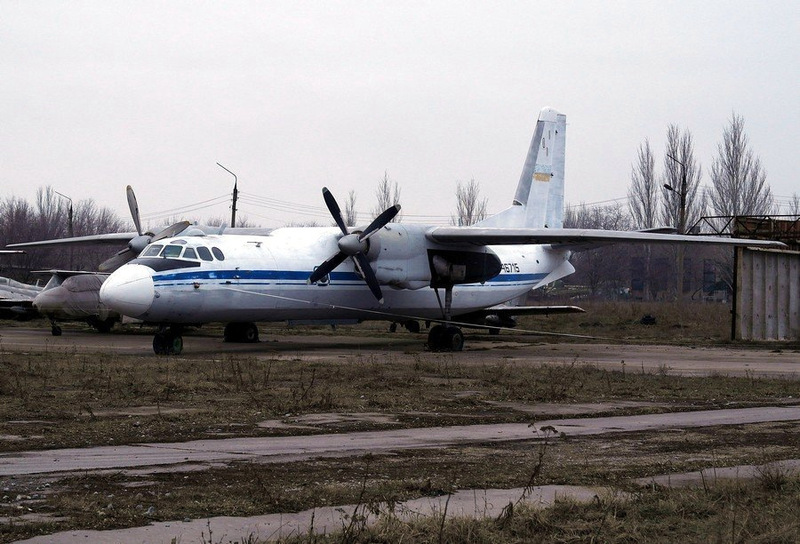 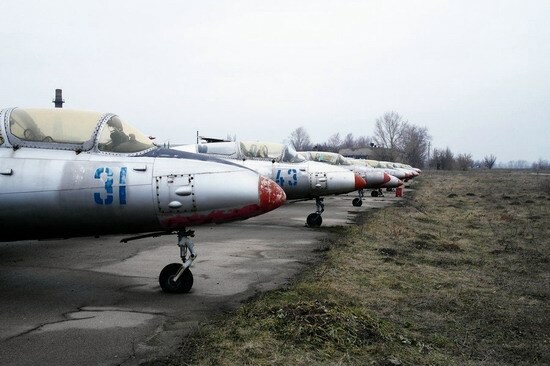 Traveling from Dnepropetrovsk to Zaporozhye, it is hard not to pay attention to a complex of abandoned buildings and the old L-29 aircraft, placed at the control-point. 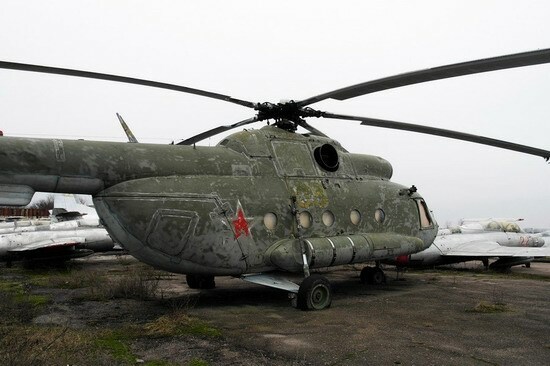 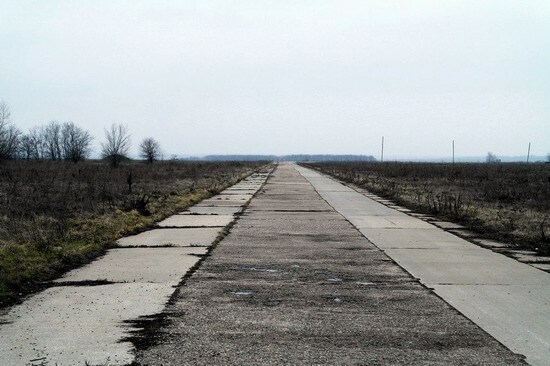 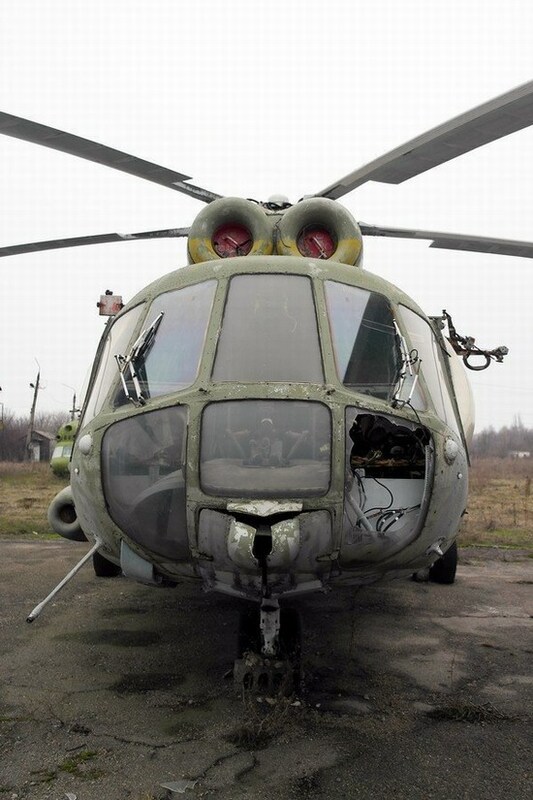 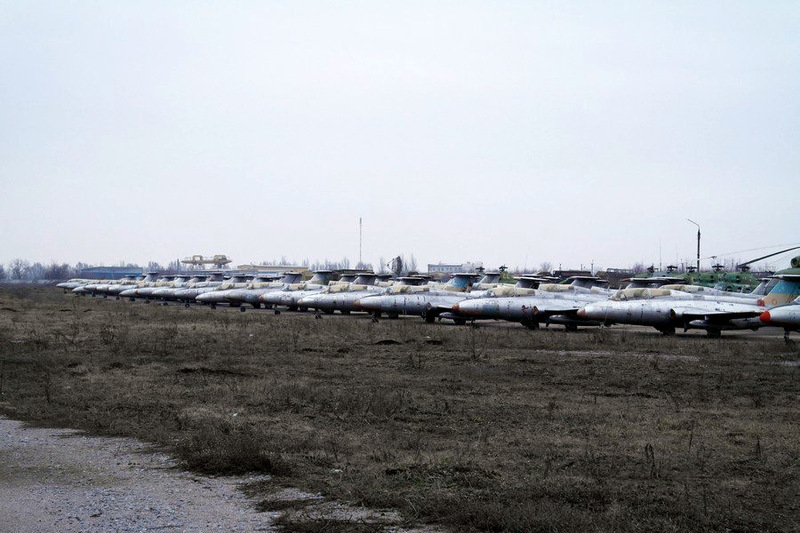 The decline began in 1990, when the combat aircraft were transferred to Kazakhstan, leaving here a training school and aircraft repair plant. 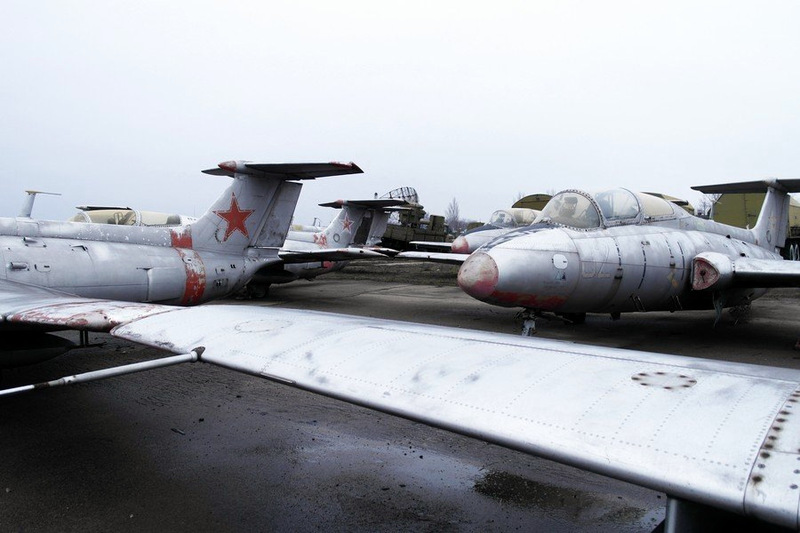 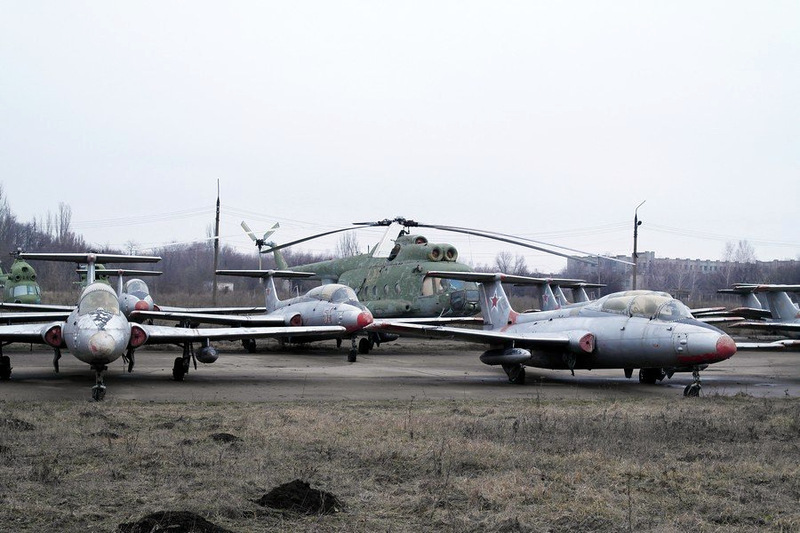 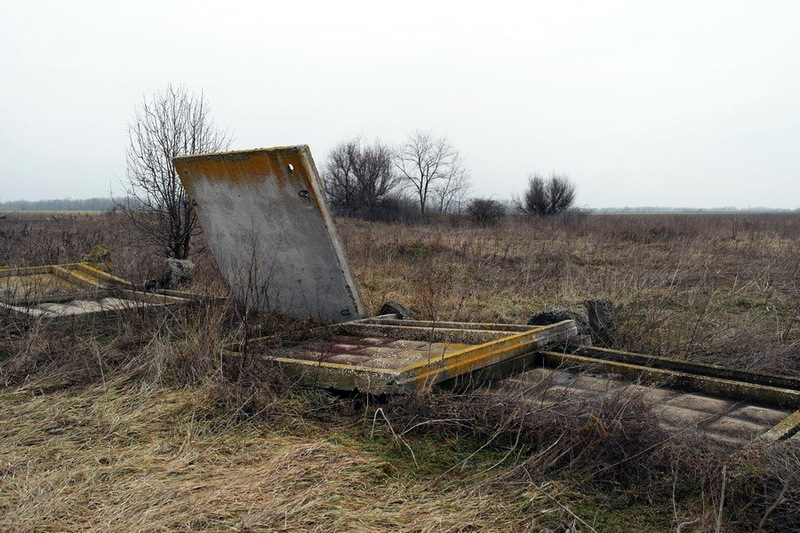 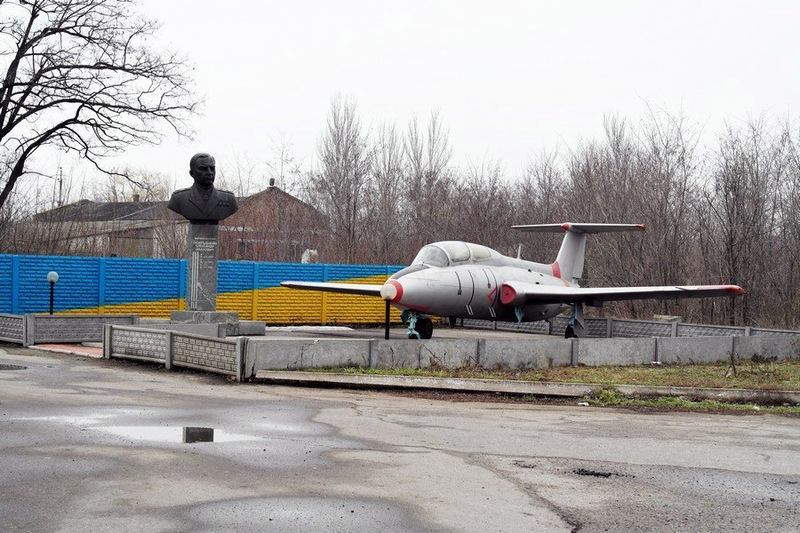 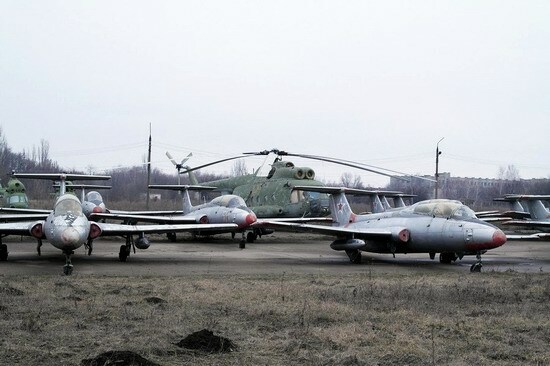 In independent Ukraine, flight training school operated for several years, but all flights stopped in 1994. The center was finally closed in 2001. 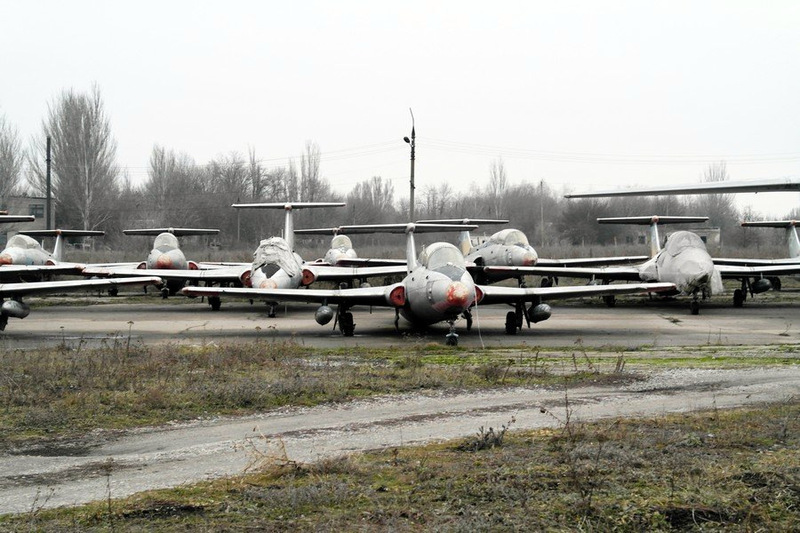 Today only two of the hundreds of training aircraft can take off. The abandoned flight center on Google Maps.